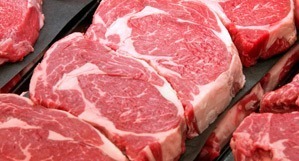 Meat Standards Australia (MSA) was developed by the Australian red meat industry to improve the eating quality consistency of beef and sheepmeat. The system is based on almost 800,000 consumer taste tests by more than 114,000 consumers from 11 countries and takes into account all factors that affect eating quality from the paddock to plate. MLA supports MSA program participants through creating opportunities for businesses to adopt eating quality principles. Over the past 20 years, since the program’s commercial release in 1998, 26.5 million cattle have been MSA graded and 37.2 million sheep have been processed following the MSA pathways. Read the 20th anniversary timeline here. With more than 3.1 million cattle and 6.1 million sheep processed through the Meat Standards Australia (MSA) in 2017-18, it’s estimated the program delivered $152 million in additional farm gate returns for beef producers. MSA grading results for more than 5.5 million cattle processed during 2015-17 have been analysed to understand what drives improvements in eating quality and compliance. Read the stories of the winners of the 2016 MSA Excellence in Eating Quality Awards. The awards recognise those producers in each state consistently delivering superior eating quality beef. Watch key MLA staff provide insights into new developments in MSA and how MLA intends to support producers to improve eating quality and open further opportunities. What is the MSA sheepmeat program?